"HOW DID YOU DO THIS?!" Those were the first words out of Jesse's mouth after trying these crackers. Throughout the house, the reactions were different. There were mmm's, ohhh's and even a couple of "oh wows". When you base your recipe worthiness on reactions, those comments are exactly what you want to hear. In my head, my brain was just screaming "moreeeeeeeeeeeeeeeeeeee!". But I was on a mission! 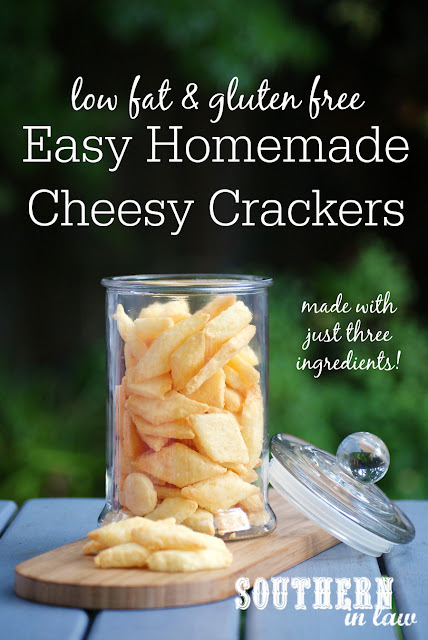 I was going to come up with an easy to make cracker recipe that tasted incredible, used just a few ingredients and was so simple that there was absolutely no way I'd be throwing my rolling pin across the kitchen in frustration at the end. But we're not talking about my lack of patience for gluten free dough here, friends. We're talking about deliciousness. These crackers are amazing. They're stupidly simple to make and full of flavour. In fact, they're so amazing that they'll act like Criss Angel and vanish before your very eyes.... only... there's no trap doors or gimmicks with these babies... they'll just end up in your tummy. 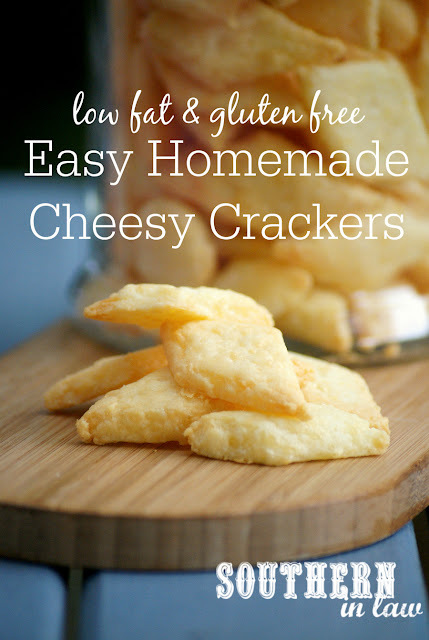 I kid you not when I say these crackers are easy to make. In fact, I finished the dough and the timer on my Cuisine Companion told me the dough had taken just 1 1/2 minutes to make. They're so easy that you'll find yourself wondering why you ever bought crackers in the past. 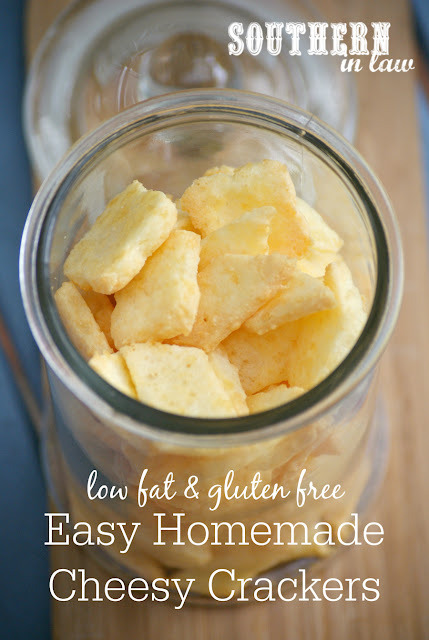 And they're so easy that you'll make them all the time because they'll make you look like a domestic goddess when you share them with family or friends. You don't have to let them in on our little secret either, friends - however, I can't guarantee that they won't beg you for the recipe! Optional: you can add in ground black pepper, dried or fresh herbs or whatever you fancy! Add your cheese and pulse until your mix is combined and no big chunks of cheese remain (about 30 seconds in the Cuisine Companion). Keep your machine on pulse whilst gradually adding in your water. Add the water about 1 tsp at a time until your dough forms (only use as much or as little water as you need!). Take the dough out of your machine and place it into a small mixing bowl. Cover your bowl with cling wrap and chill in the fridge for 1/2 an hour to an hour (or you can make this the night before and simply roll and cut in the morning). Once your dough is chilled, preheat your oven to 180C/355F. Roll the dough out between two sheets of baking paper (this stops it from sticking and means you don't have to make a mess with flour!) until it's about 1/2 cm in thickness (you can make them as thick/thin as you like though, just adjust the baking time!). Cut your crackers out with either a cookie cutter or a knife (we simply cut ours with a knife) and place onto a baking sheet lined with baking paper, about 1cm apart so they have room to spread. Bake your crackers for 8-12 minutes, or until they have browned and are crispy to touch. 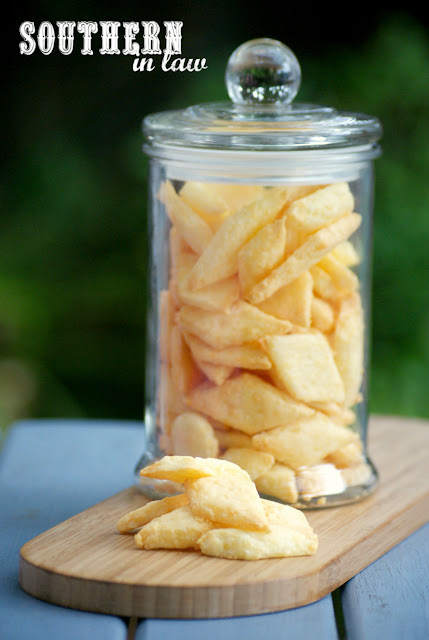 If you want softer slightly chewy crackers, bake them for less time or bake them for longer for crunchy crispy crackers. The crackers will keep in an airtight container at room temperature for 3-4 days. 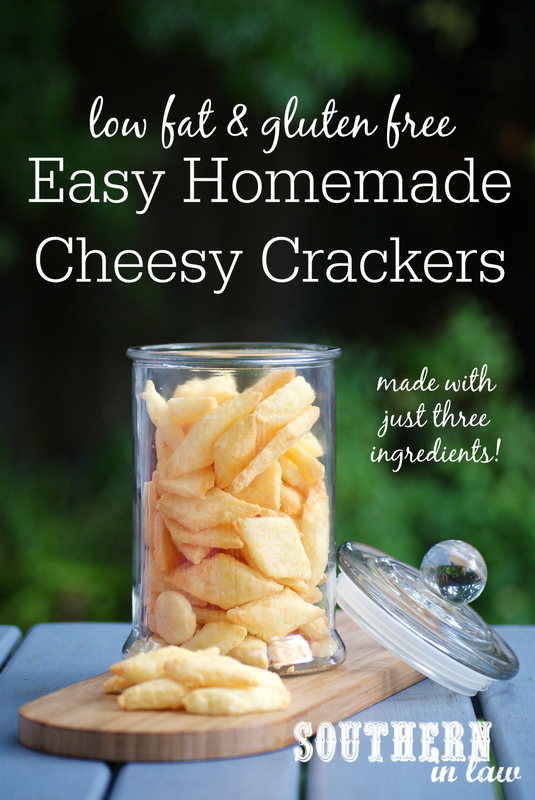 *You can use just about any cheese with this recipe. We've used parmesan, edam, gouda, cheddar, tasty, vintage and smoked cheddar - use whatever you have and/or like best! But tell me, what's your go-to food/recipe/menu when you're entertaining? Do you have any stand-out favourites? For us it's always my Mum's Layer Dip, Cheesy Quinoa Bakes, my Healthy Blueberry Crumble Cake Recipe or our Healthy Chocolate Cake Recipe!